Omnichannel is a hot word in the call center world right now. Everyone wants to be present everywhere across the web for fear of missing out. But dispersing our energy across the web could be a potential downfall for spreading ourselves thin and providing sub-par customer service when our goal was to do just the opposite. So if you’re ready to do omnichannel, how do you figure out which channels to adopt beyond your phone lines in order to delight your customers and help guide the way down the customer journey? Omnichannel is not just about using different channels beyond voice, it’s about giving clients the option to choose how they want to get in touch with your brand. At the end of the day, they do not differentiate between one channel and the next, and neither should you. Channels should work together to provide a uniform customer service. Make the customer feel as if it was the same agent who was communicating across the various channels. 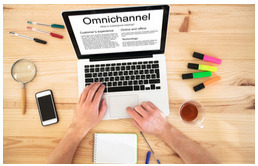 So back to the point, just how do you choose the right channels for your omnichannel strategy? Let’s take a look! Discovering the main reason why customers are reaching out to you is a great first step to uncovering which channels should be part of your omnichannel strategy. One way to do this it to visualize the client journey. Standard stages include awareness, research, purchase, use and support to name a few. Depending on your product, each stage could be optimized with a support channel. It’s all about the context. If you receive quite a few customer complaints about the use of your product, consider opening a suggestion forum where people can recommend ideas for improvement and others can vote it up. Every few months, the most voted idea gets implemented. The result: a positive outlet to redirect negative feedback. Check! What about if you get clients asking a lot of questions about how to use your product? After a while, you might see a recurring trend of common topics. Instead of having agents continuously having to explain, why not create a YouTube channel where you can post ‘How To’ videos and still interact with clients in the comment box. Starting to get the idea? By analyzing the main reasons why customers reach out to your brand can be a clear indicator of which channel you should be present on. Not to mention, extending beyond voice service would free up your phone lines and give agents a chance to exert more challenging tasks. If you have already selected channels for your omnichannel strategy, how do you double check to know that they are the right ones? In today’s age of technology, we have it pretty easy. Most platforms provide in-depth analytics into customer behavior and show us how visitors engage with our content. Low ratings, visits, views and shares and high bounce rates can indicate that a new strategy needs to be put in place. This could mean revamping the content, changing the way you interact on the platform, or perhaps simply redirecting your energy elsewhere. This is pretty straightforward. Gain insights by simply asking customers how they would like to get in touch with you and what's the best way to contact them. By asking customers how to they prefer to be contacted, you let them be in charge of the communication. Give them the power to control the way they communicate with you and with which frequency. By interacting with the consumer the way they like to be engaged, you’re more likely to get a positive response and a higher conversion rate, click-through rate, or improvement in whichever KPI goal you’ve set. Now that you know where and how often to interact with clients, you need to figure out the how. Improper use of a channel can easily land you in the SPAM mailbox or stop you from appearing in the newsfeed. Interactions must feel organic and not pushy. A good rule of thumb for a positive interaction is to engage with the consumer the same way they would with their friends and family. Despite companies' efforts to provide excellent customer support, 50% of clients still feel like their customer service experience was difficult. By leveraging technology and providing clients with the right channels for your brand, communication can become effortless and seamless on the users part. Remember, choosing the right channels for your omnichannel strategy doesn’t mean needing to engage on all channels, it means focusing on what works for your organization and being able to act on what your data says works. “Grace who is fully certified CIAC, a registered coordinator COPC and Yellow Belt for SIX SIGMA has a significant contribution to the establishment of Call Center in Indonesia. Through her company, 168Solution, she develops our skills and knowledge on how to run a Call Center, People Management, CRM and Leadership Business Management. Attending her classes helped me to improve our process which led to better performance”.